The Joe Schwartz '83 Memorial 3K Run/Walk will take place on April 20 on Featherbed Field. The race is for all members of the Haverford College community. 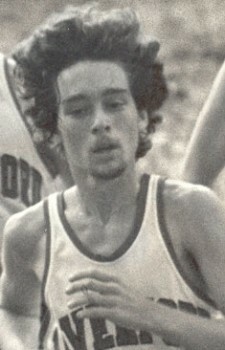 Joe Schwartz graduated from Haverford College in 1983. He was a committed member of Haverford's cross country and track teams for the four years he attended Haverford, and he excelled in both sports. He encouraged those who won MAC Championships as well as students who participated in the sport to be part of something bigger than themselves, to be part of what has become a proud tradition of athletic excellence at Haverford. In 1995, Joe contracted Amyotrophic Lateral Sclerosis (ALS) at the age of 34. He first noticed the symptoms when he was out training for road races. He has courageously endured the hardships imposed by this cruel disease for thirteen years until his unfortunate death on March 2nd of this year. Joe is the father of two young men, one of whom runs cross country for his high school. The Joe Schwartz '83 Memorial 3K Run/Walk is designed to attract the running superstar and the walking novice because that is exactly how Joe would want it. He simply loved people lacing up their shoes and enjoying the freedom to run and walk, a freedom that was deprived from Joe by ALS. Proceeds from the Run/Walk will be donated to the ALS Association and directed towards ALS research. The ALS Association is the only national non-profit organization dedicated solely to the fight against ALS. The cause, cure and means of control of ALS are unknown. Symptoms of ALS, also known as Lou Gehrig's disease, include the wasting and paralysis of the muscles of the limbs and trunk as well as those that control vital functions such as speech, swallowing and respiration. Over 5,000 people in the U.S. are diagnosed with ALS each year. Entrance fee is $10 for adults and free for all students and family members under the age of 21. Commemorative t-shirts are guaranteed to all pre-registered runners/walkers. Pre-registration ends April 4th. Additional monetary donations to ALS research can be added to the entrance fee and a pledge sheet is available to raise further funds. Prizes will be given to the male and female who finish in either 1st or 2nd place in the following age groups: 18 or younger, 18-22, 23-29, 30-39, 40-49, 50-59, 60+. Furthermore, a team prize will be awarded. Three person teams must consist of at least 1 student, 1 member of the faculty/staff/alumni, and 1 female. Please contact Cory Walts (cwalts), Fitness Center Director, and/or Tom Donnelly (tdonnell), Head Coach Men's Track & Field, for an individualized training program. Also, stay tuned for information in the fitness center about group training programs, including department team contests. Download or print the application. If having trouble printing, change paper size to 8.5x14in. Download or print the pledge sheet.